Following last year’s remarkable influx of seven new full-time, tenure-track faculty members across three academic branches, the reinvestment in teaching resources at The Cooper Union continues in the 2017/18 academic year with the hiring of four new assistant professors. The Irwin S. Chanin School of Architecture welcomed Lorena del Rio and Michael Young, the school’s first full-time faculty hires since 2005. At the Albert Nerken School of Engineering Amanda Simson and Jennifer Weiser have joined the chemical engineering department, where the last round of tenure-track professors was hired in 2009. At the same time, two new members of the administrative staff who directly support students and faculty have come on board. Adriana Farmiga A’96 has been named assistant dean at the School of Art, and Antoinette “Toni” Torres joined as director of strategic initiatives and institutional effectiveness. In a recent example, the English for Fun Centre in Madrid needed to represent the center’s goal of using teaching methods that engage the five senses. 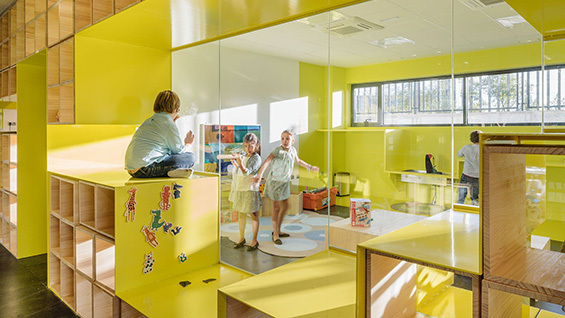 To foster this, RICA* designed “inhabitable,” modular dividing walls in a sunny yellow hue that store furniture and objects as well as being a play space on a scale for children. “Design can be a powerful tool to shape cognition and experience,” del Rio says. “Beyond design, Professor del Rio’s work on building technologies made her an ideal candidate to contribute to courses that could integrate material thinking, environmental performance, and systems of production within the design studio,” Tehrani says. Del Rio has plans for her approach to teaching at Cooper. “My goal is to blend what I learned in Europe with my experience in American academia in a pedagogical approach that integrates the best of both worlds. I am thrilled to be part of such a legendary institution as Cooper Union, and be a part of the unique spirit of its faculty and students,” she says. Michael Young has been teaching at The Cooper Union since 2005. “His research in the history of representation, his work in digital modeling and fabrication, as well as his long-standing contributions to the program, were seen as a huge advantage,” Tehrani says. Young has been tapped to help advance a technology push at the school that includes a newly expanded computer lab with fabrication capabilities such as 3D printers, plotters (super-sized printers), laser cutters, and other equipment. In 2015 his practice, Young & Ayata (co-founded in New York City with Kutan Ayata), received a first-place prize to design a new museum for the Bauhaus Museum in Dessau, Germany. “A century ago, the Bauhaus presented a social experiment in how design pedagogy could be different in the wake of developments in technology, aesthetics, and craft. 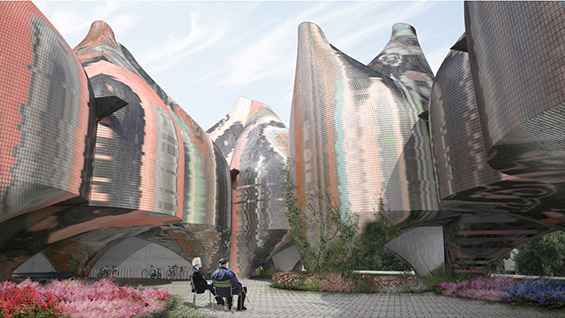 Our building proposal sought to find an architecture to reflect this spirit 100 years later, at the start of our current century.” The result resembles a collection of bulb vases grouped together and skinned in a multicolored pattern of glass tiles laid in patterns alluding to the fragmented organizations of textile weaving. Over at the Albert Nerken School of Engineering’s chemical engineering department, Irving Brazinsky, a longtime professor, retired this year and Richard Stock, a former chair of the department, stepped away from teaching to become the acting dean in 2015. As a result, the school launched a search for two new professors. “We specifically tried to find candidates who were able to teach a wide range of core chemical engineering courses, as well as provide new electives and research opportunities,” Daniel Lepek ChE’04, associate professor for chemical engineering and a member of the search committee, says. “While candidates from traditionally underrepresented groups in engineering were particularly encouraged to apply, the committee specifically sought to hire the best candidates possible. Since the president views diversity and inclusion as important cultivating elements of an engaged, welcoming community, we were fortunate that our top two candidates were both women. With their hiring, the gender diversity of the chemical engineering faculty essentially matches that of the student body in the department, which is often approximately 40 to 50 percent women.” Interestingly, there is only one chemical engineering degree among the six degrees held by the two new professors. “This truly highlights the progressive and forward- thinking nature in which the Department of Chemical Engineering operates,” Lepek says. She became an expert in the field of heterogeneous catalysis (adding specific elements to reactions to make them more efficient) with a focus on air pollution control and alternative-fuel processing. After receiving her Ph.D. in earth and environmental engineering from Columbia University in 2013, she spent two years at Watt Fuel Cell, a startup that turns various fuels into hydrogen to power fuel cells. Recently she has been working with the Otolaryngology Department at the Yale School of Medicine (think “eye, ear, nose, and throat”). One of the surgeons presented her with a problem related to saliva management during reconstructive surgery after a laryngectomy. Saliva’s ability to degrade things rather rapidly causes secondary problems. 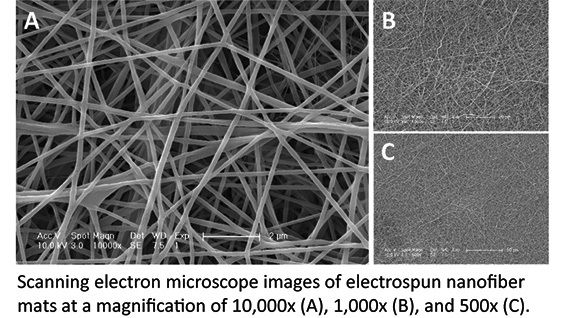 Weiser has been working on developing a biomedical device using a polymeric material that is resistant to saliva permeation. The goal is to help manage this problem, reduce complications, and shorten hospital stays for patients.